Our studio prides itself in educating children in the art of dance as well as instilling upon them the importance of believing in themselves. All of our teachers have a dance education background and emphasize on giving individual attention to all the students in the class. Here at SMDA, it is very important to us to make sure that every student feels like they belong and they have a place where they can express themselves creatively. We pride ourselves on being mentors for these children and helping them grow not only as dancers but as well rounded, responsible and confident individuals! Lauren Arleth—Artistic Director Lauren is a 1998 graduate of DeSales University where she earned her Bachelor of Arts Degree in Dance as well as the Jeanne Meixell Award for Excellence in Dance. She has been teaching since the age of 18 in all styles and levels of dance. She began her dance education in ballet at Settlement Music School in Philadelphia where in 2008 she earned the honor of being celebrated as one of the Settlement 100— an honor she received as a distinguished alumni during the schools 100th Anniversary Celebration. Lauren has also been featured in the Teacher Spotlight of a national dance publication—”Dance Studio Life”. After graduating in 1998, Lauren began teaching at a Bucks County dance studio where she began an award winning competitive dance team, Rhythm In Motion. Lauren is proud to have Rhythm In Motion as a division of the SMDA program, attending various dance competitions throughout New Jersey and Pennsylvania as well as performing in local community events. During her time as an instructor she has attended various conventions with teachers such as Tyce D’Iorio, Mandy Moore, Tabitha and Naploen D’Umo and Dan Karaty. Kelly Famiglietti - Kelly has been dancing since age 5. She studied all genres of dance and baton twirling at the Lamar Dance Center in Pennsburg, PA. She furthered her studies at DeSales University and graduated with a BA in dance in 1999. During her time at DeSales she toured with the Action Dance Touring Co., choreographed for DeSales Young Choreographers Series, and served as the production stage manager for the Dance Ensemble Concert. During and after college Kelly was an instructor at LDC through 2001. In 1996 she became a member of Dance Masters of America and local Pennsylvania Association of Dance Teachers Chapter 25. 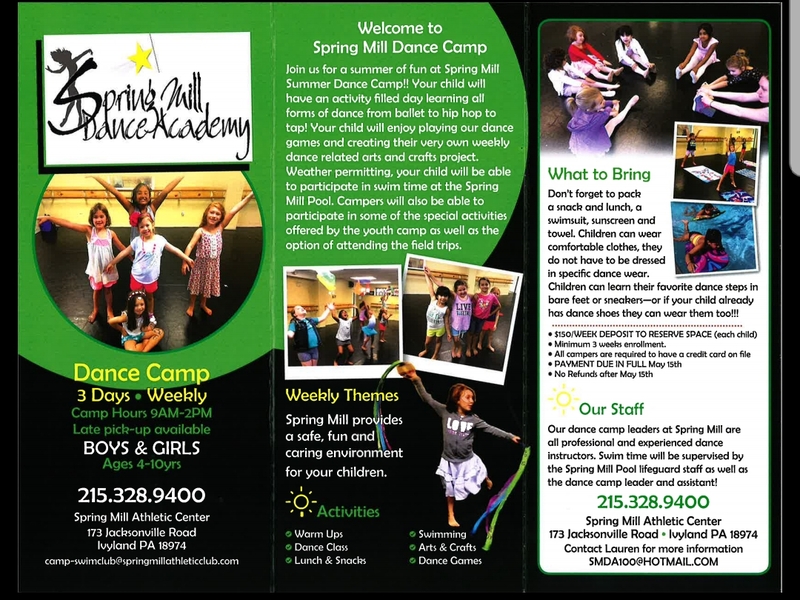 In 2012 Kelly joined Spring Mill Dance Academy where she teaches tap, ballet, lyrical and jazz. She is also the Assistant Director and choreographs for the award winning SMDA Rhythm In Motion dance team. Jessica Pescatore - Miss Jessica holds her BA in Dance from DeSales University in Center Valley Pennsylvania and her MA in Dance/Movement Therapy from Drexel University in Philadelphia. She has performed professionally at Six Flags Great Adventure and spent four years touring the east coast with “Joey Arminio & the Family” a variety show band. After completion of her graduate studies, Miss Jessica worked as a dance/movement therapist for adults and children with special needs. She continues to choreograph and perform locally, while also partaking in her biggest role to date – proud mommy to her son Tommy and daughter Skylynn. Sean M. Courtney - Sean started dancing at the age of 14. During his college years at Rowan University, he minored in dance. He was a member of Rowan University’s Contemporary Dance Company (CODA) under the direction of Melanie Stewart and Paule Turner. After graduation, Sean continued his dance career by performing in the Philadelphia Fringe Festival throughout the years. He has also been teaching gymnastics and diving for many years. Sean feels very welcomed to be a part of the Spring Mill Dance Academy. In addition—Our students are given an opportunity to join our award winning competitive dance team “Rhythm In Motion” where they can expand their knowledge of dance through competitions and conventions with Master Dance Educators. Because of these opportunities, some of our alumni continue with dance through college and some are performing in New York, Baltimore and even in Europe! Creative Movement (ages 2 1/2—4 yrs.) Our creative movement class aides in the development of more complex motor skills—running, jumping, hopping, skipping & leaping. Your child will understand the basic beginner steps of ballet in a creative & imaginative way, as well as use storytelling to create movement. Ballet/Tap Combo (ages 4-6 yrs.) During this class, your child will spend half of the time learning the basic ballet as they would in Pre-Ballet, but are also given the opportunity to expand their dance style into beginner tap. During the tap portion of the class, your child will learn basic tap movements needed for any tap student. Ballet Technique (ages 6 and up) We offer all levels from beginner to advanced Ballet, as well as Pre-Pointe and Pointe classes. Lyrical/Contemporary (ages 6 and up) This class is fusion of ballet, jazz and contemporary techniques. Offered in beginner thru advanced levels. Jazz (ages 6 and up) This is a high energy technique based class that utilizes popular music. This class also includes the style of Musical Theater. Offered in beginner thru advanced levels. Hip Hop (ages 4 and up) This class refers to street dance styles primarily performed to hip-hop music or that have evolved as part of hip-hop culture. It includes a wide range of styles primarily breaking, locking, and popping. Offered in beginner thru advanced levels. Tap (ages 6 and up) This is a form of dance characterized by using the sounds of tap shoes striking the floor as a form of percussion. Offered in beginner thru advanced levels. Acro/Gymnastics/Dance class is designed to include tumbling, and acrobatics into dance. Offered in beginner thru advanced levels. All students are recommended to purchase dance wear at Step Up Performance & Dancewear located at 881 Bustleton Pike Richboro PA 18954. They have a complete list of the proper shoes needed for each class offered at SMDA. Congratulations to some of our tappers who danced in the 6ABC 2018 Dunkin Donuts Thanksgiving Day Parade under the FanTAPulous group. Thank you Miss Kelly for supervising our talented dancers! It's about that time to start thinking about Summer!!! 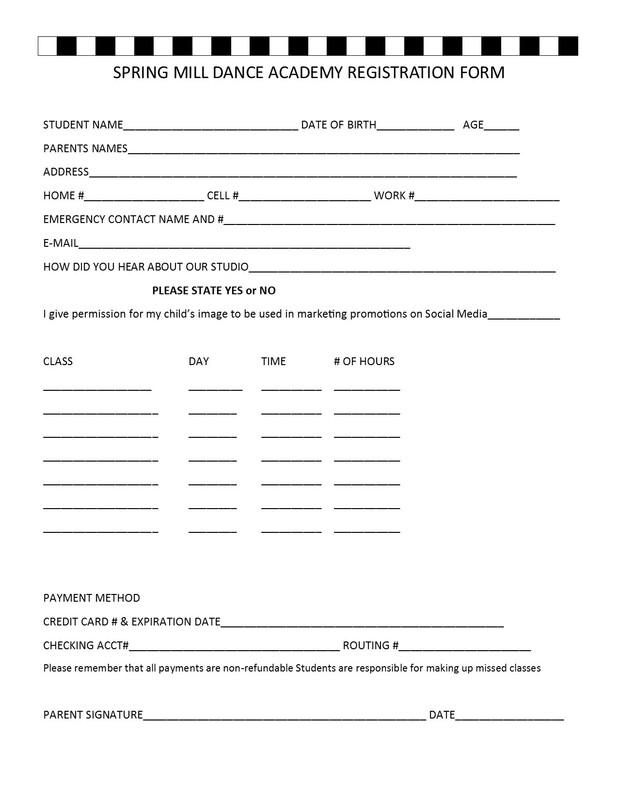 Take advantage of our Summer Dance Camp Early Bird Registration discount of 10% off enrollment! "LET'S ALL GO TO THE MOVIES"
"My daughter flourished here. Ms Lauren is a special person and wonderful teacher." ~ Dana P.
Copyright © 2018 Spring Mill Dance Academy - All Rights Reserved.